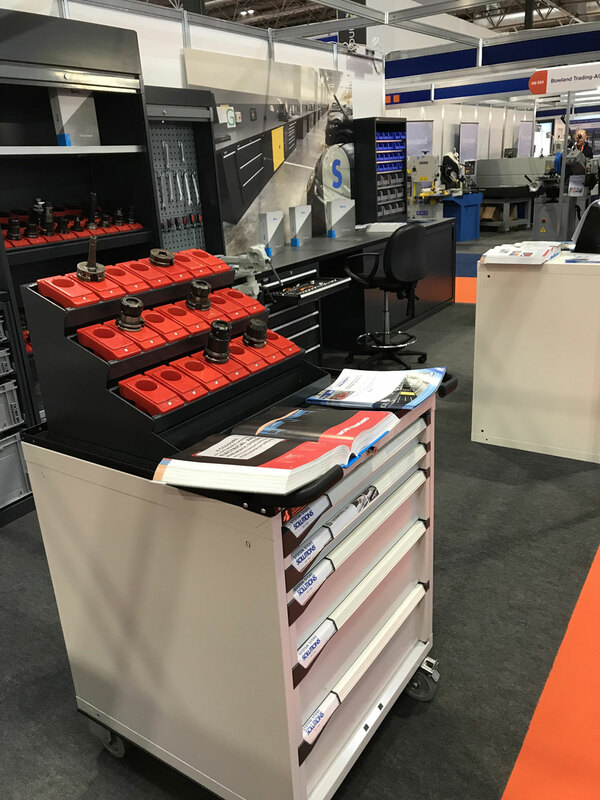 Across the board at MACH confidence was high and while machine tools may have been the focus of many, modular workshop and storage solutions also proved popular, with System Store Solutions having a busy week discussing the efficiency and productivity gains that can be made through careful planning and design of the workspace. 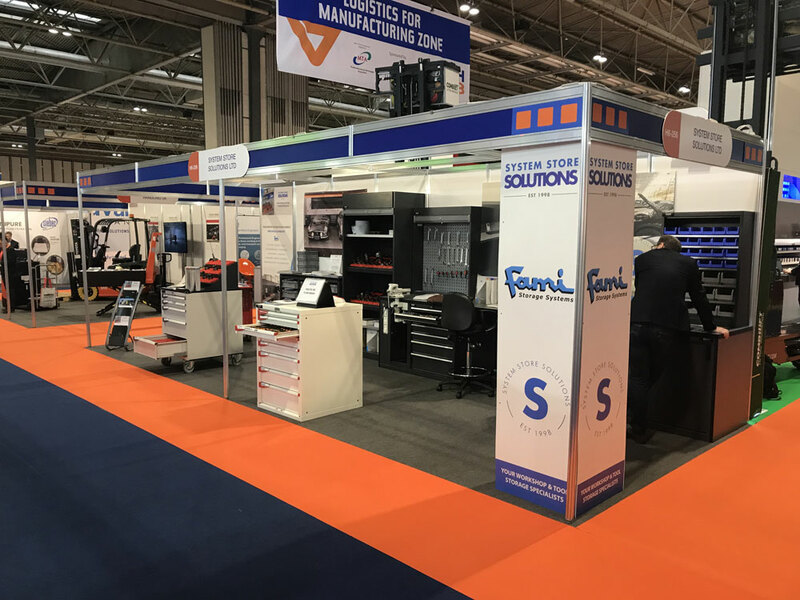 “It was interesting to see just how busy the exhibition was with figures indicating a significant increase on the previous MACH. 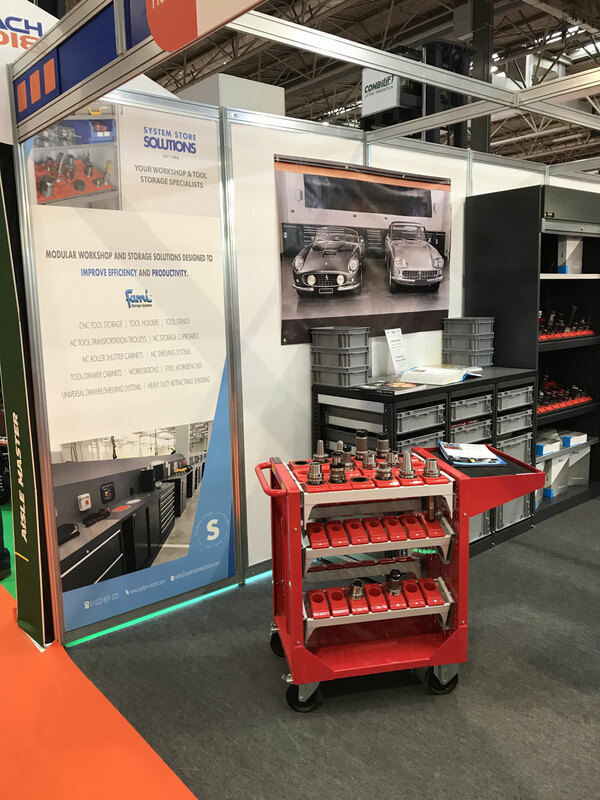 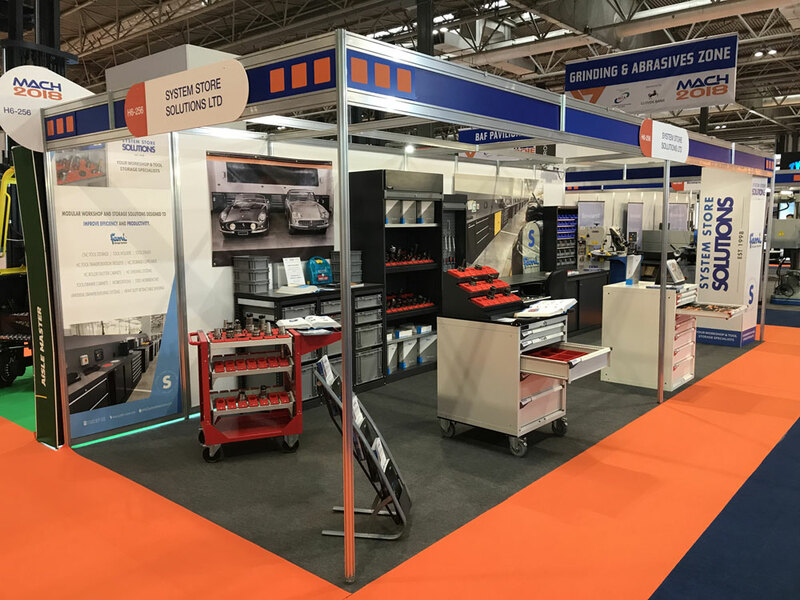 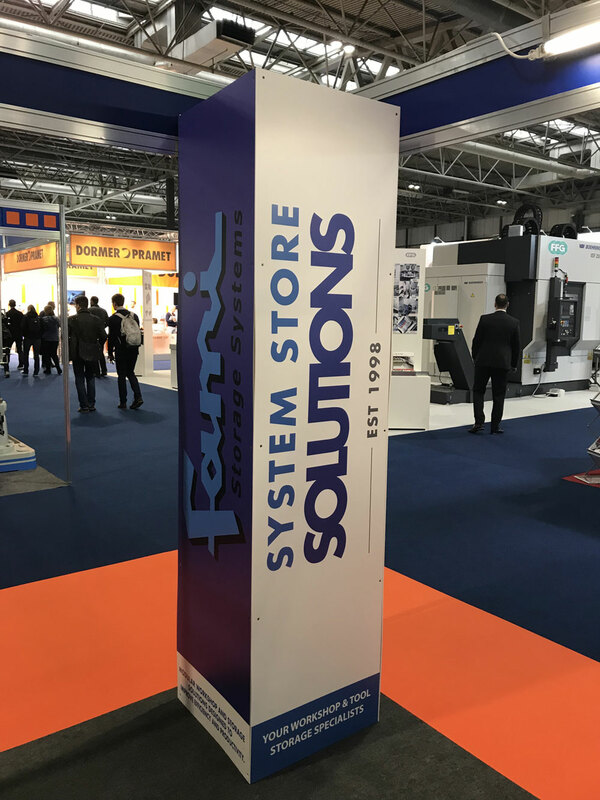 It was also encouraging to see the diversity of visitors to our stand, we had everyone from small sub-contractors through to OEM companies from the engineering sector, and surprisingly for an engineering exhibition a good number from the medical sector,” says Paul Hill, Area Sales Manager, System Store Solutions. 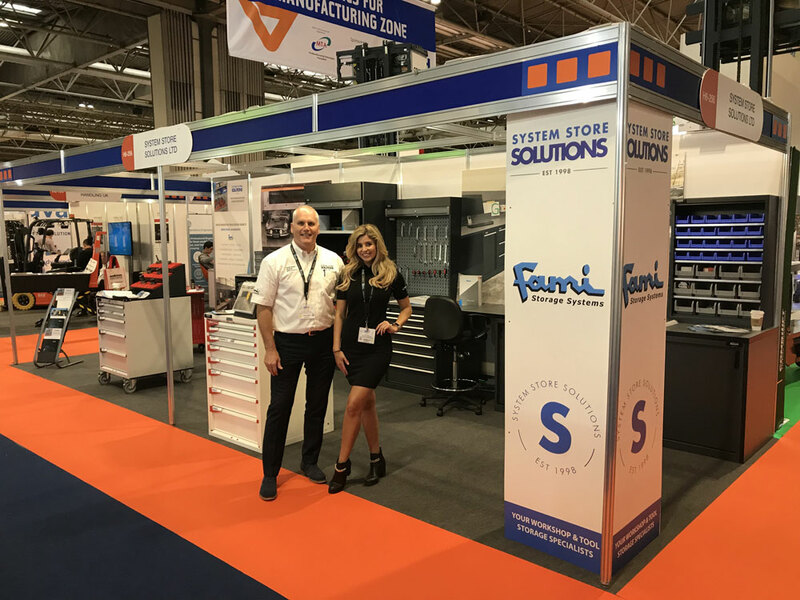 Of particular interest on the System Store Solutions stand was the new Master Series range of storage systems from long-term partner Fami. 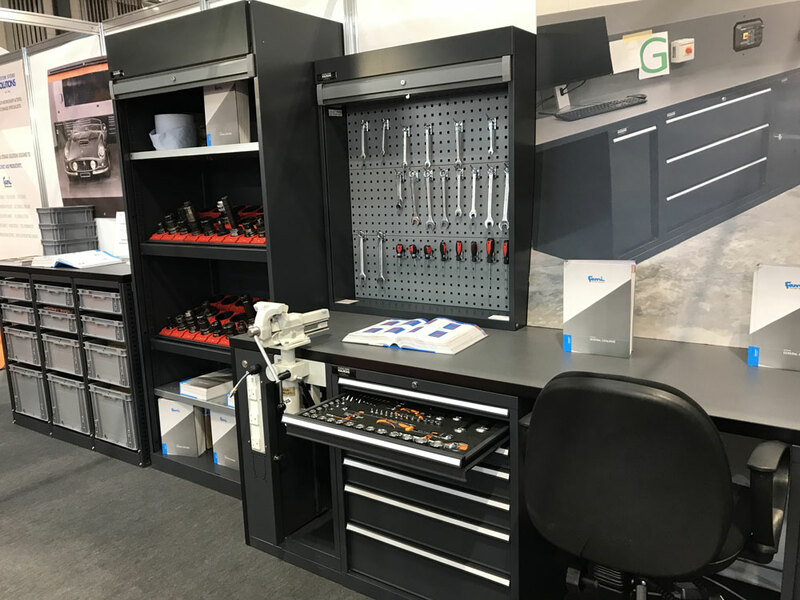 Master Series is a modular range of cabinets that redefines workplace storage through the ability to reconfigure the system as a company grows or requirements change. 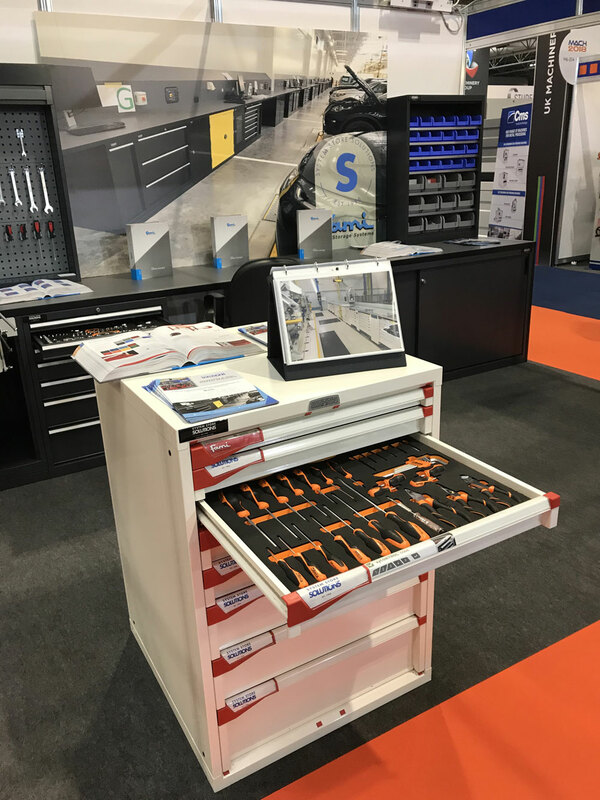 As expected from one of the leaders in storage solutions the construction of the Master Series is to very high standards, with design features such as front bearing ensuring smooth drawer action, drawers being freely configurable and users having personalisation options available through a choice of 10 colour schemes and branded labels for each drawer. 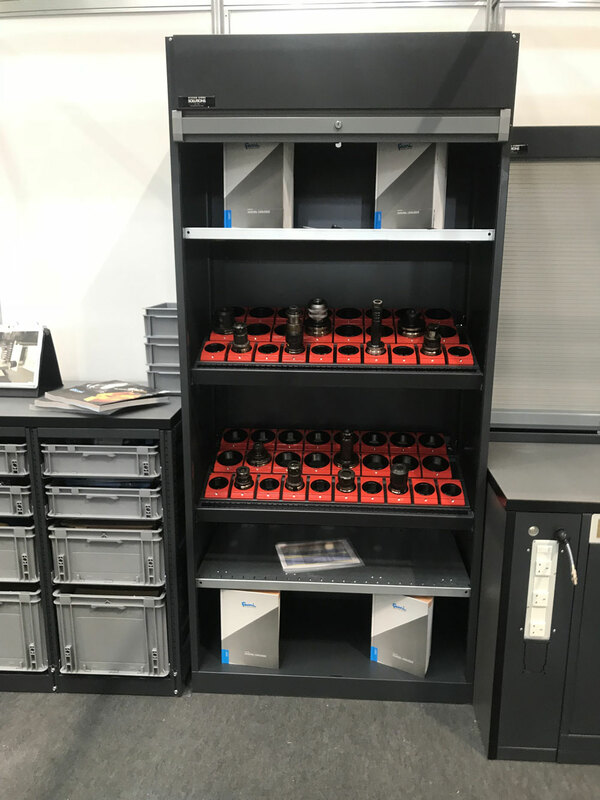 With security in mind the system also offers options of manual and electronic (PIN number controlled) locking/unlocking.